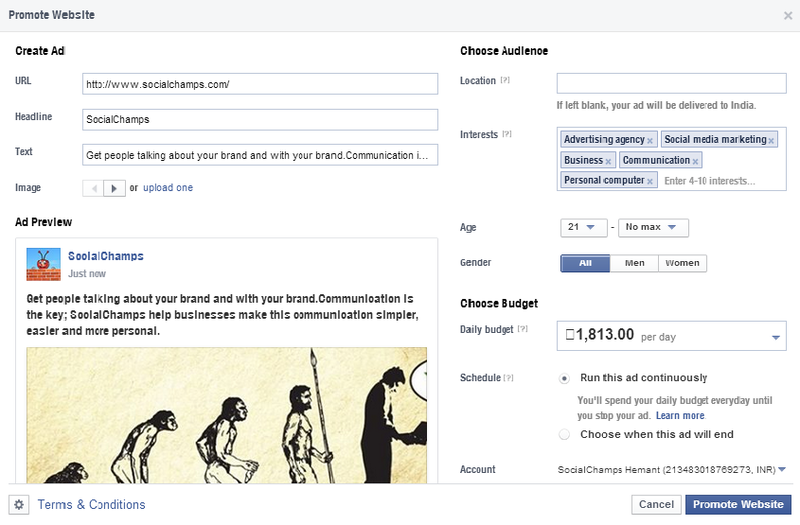 Facebook testing advertising prompts in the ‘About’ section of pages. Home » Facebook testing advertising prompts in the ‘About’ section of pages. We all have seen the Facebook advertisements era right from the beginning and now it has conquered the whole darn world of businesses and brands! Name any brand or company which isn’t on facebook and not using facebook ad’s, well almost all brands do use facebook ads to increase reach and tap new users in the vast ocean of users that facebook provides! Since facebook has always been considerate about the advertisements and the reach it provides, now it has come up with a promote option in the About section of the page to increase website visits through the page! Isn’t that awesome? Till date page owners had to put up a struggle to make different kind of posts about the website which would lead the followers to the website,But its rare that users bother to follow up the posts! This promote option will now enable the admins to reach their goals of driving the traffic to their website directly by simply promoting the URL and it will also be convenient to create ads directly from the about section itself instead of going through the entire ad creating procedure. 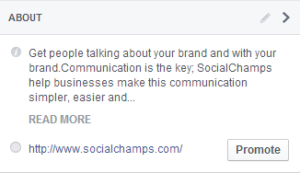 In short facebook has made it more convenient for admins to promote their website directly instead of running around the bush. Page admins have the access to create ads to promote the website. Once the admin clicks on the promote button in the about section, he is lead to an ad creation process targeted at driving website traffic. This feature looks very helpful for all businesses, have you started using it yet?